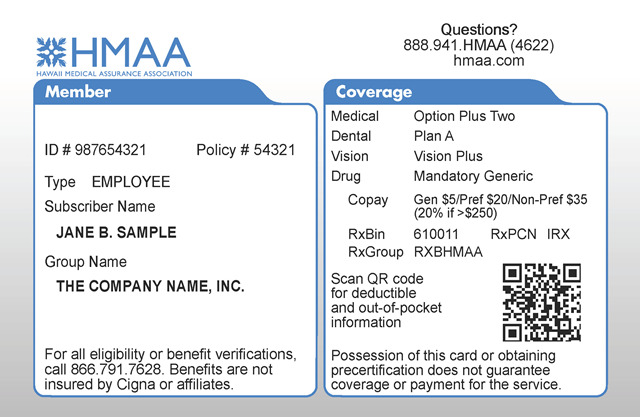 HMAA’s member ID card reflects a patient’s plan benefits, but does not guarantee coverage or eligibility. It is important for providers to have the most up-to-date information on file and to verify eligibility before rendering services. Therefore it is recommended that your office staff ask patients if any insurance information has changed since their last visit. 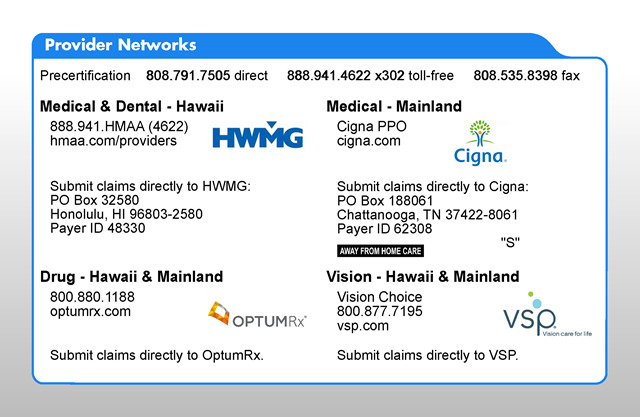 You may also verify eligibility 24/7 via phone at (866) 791-7628 or online at hmaaonline.com. One ID card is issued to each subscriber (covered employee) and each dependent who is at least 18 years of age or has a different mailing address from the subscriber. Members may contact HMAA to request additional ID cards or may print a downloadable version for temporary use.